As a high school student, Molly Robinson was urged by her art teacher to make art motivated by deep self-reflection. After seeing examples of social conflict during trips to Kenya, Tanzania, and Togo, Robinson was inspired to create pieces that explored the impact of human rights violations on personal identity. 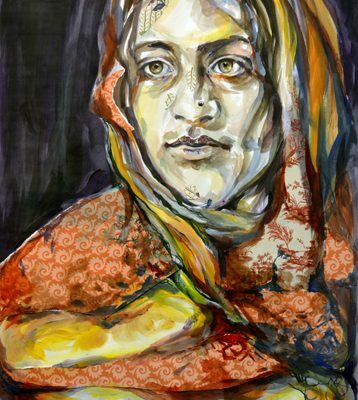 The result of this endeavor was Humility: a collection of bright, mixed-media pieces that reflect her personal inquiries on human rights, social justice, and conflict.